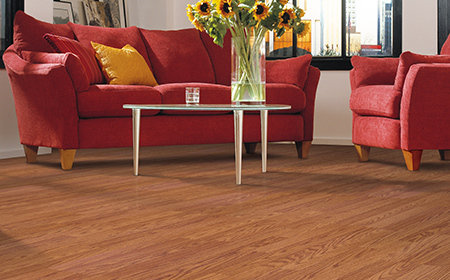 Trust Sears Home Services to install your new flooring. We bring the showroom to you with a vast new selection of carpet designed to fit your home’s style and to satisfy your personal preferences. Our select carpets from Shaw® are stain-resistant, and a great value, with luxurious and full-feeling styles that are highly durable for active rooms in the home. Carpet made with LifeGuard® waterproof backing is engineered for life’s little messes, keeping 100% of all spills, splatters and accidents contained for complete clean-up protection. Request a free in-home design consultation to see for yourself how new carpet from Sears home Services can beautify your home.